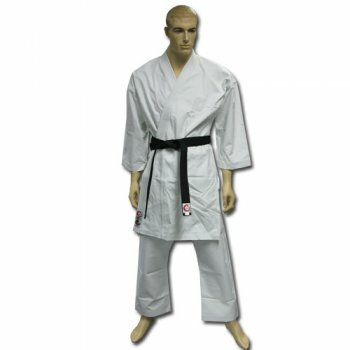 Master FX WKF canvas uniform - Exclusive to SMAI. Preshrunk 14oz Double Brushed Canvas with 5 embroidered ventilation holes under the arms. This Master FX uniform is made from premium quality German milled canvas. The wide gusset on pants maximizes flexibility and minimizes resistance. The length of the jacket has been developed to suit European competition specifications. Does not come with belt.